North Shore sunsets are the best and there is no better place to watch them than from the deck of the Ho'o Nanea. The sunset hours are a magical time to be out on the water. With the winds calm, the sun turns golden and paints the sky in a palette of hues and colors that seem almost unreal. There is no way you cannot be taken by it. The clean ocean air, vast sky and unbelievable sunset colors swill connect you with nature and give you a feeling of relaxation and happiness that most people don't get to experience anymore. A sunset sail will help you calm your mind and let you breath again. So come join us and reset your senses! 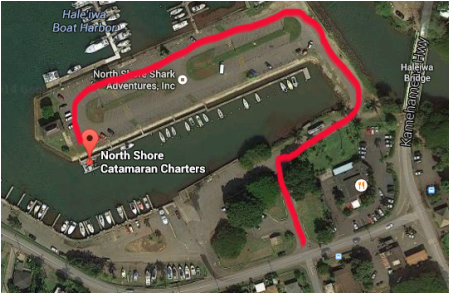 The North Shore Catamaran Sunset Sail is a casual and down-to-earth occasion. The Ho'o Nanea is a very safe and stable sailing catamaran that lets you relax and stay dry, without sacrificing the feeling of being close to the ocean. This is not a fancy dinner cruise--no dress code, no hula dancers, no tiki torches and umbrella topped daquiries being crammed down your throat--just the typical understated North Shore atmosphere of friends getting together to enjoy an evening out on the ocean. Please note: All sails are weather permitting. Whale watching and dolphin spotting are seasonal activities and cannot be guaranteed.